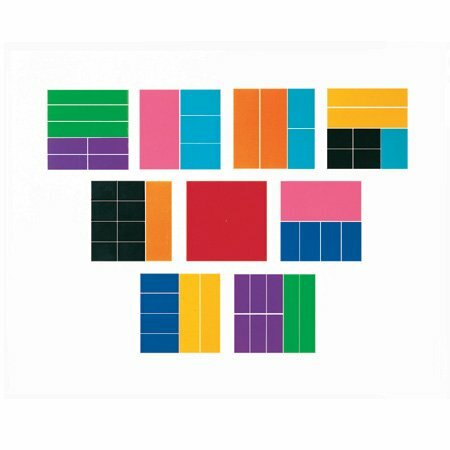 Help your class visualize fraction concepts using this Deluxe Rainbow FractionÂ® Squares Set. Set features 51 pieces creating one whole, halves, thirds, fourths, fifths, sixths, eighths, tenths and twelfths, plus dual-use work tray/storage box and Teaching Notes. Color-coded to correspond to all Rainbow FractionÂ® products.